AZ Gives Day is Tuesday, April 2, 2019! Please support Tucson Wildlife Center’s mission to rescue, rehab and release wildlife by contributing on AZ Gives Day on Tuesday, April 2, 2019. 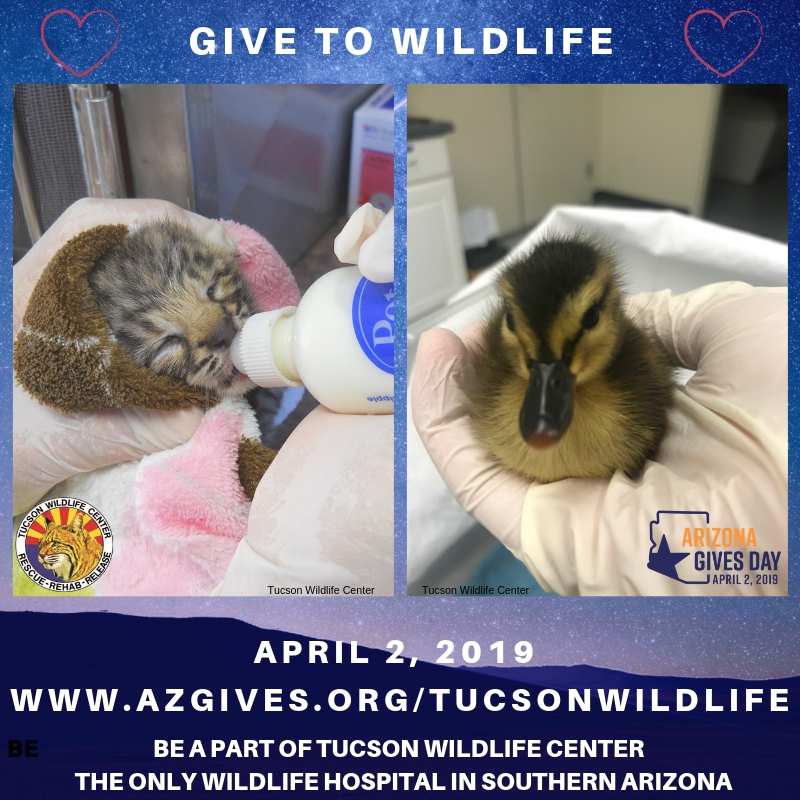 Be a part of the only wildlife hospital in Southern Arizona that provides emergency medical care and rehabilitation of sick, injured and orphaned wildlife before return to the wild, while promoting education, habitat protection and peaceful coexistence with wildlife. Your support allows us to give a second chance to more than 3,000 wild animals annually. Our education & outreach programs have welcomed more than 10,000 guests and have helped thousands of school children understand the importance of wildlife and their habitats. It truly takes community support to help the innocent. Thank you for your contribution and compassion! For help and emergencies, please immediately call our 24/7 helpline at (520) 290-9453. Log in admin | Copyright © 2019	by Tucson Wildlife Center.